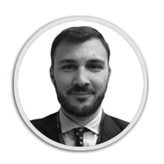 Before joining ECES, Sebastiano was a Schuman Trainee at the Democracy and Elections Actions Unit (DEAC) of the European Parliament. During this time, he constantly supported the Head of Unit in the organization of the Democracy and Election Coordination Group in Strasbourg and the Parliamentary Association Committees of Ghana, Peru and Moldova. In particular, he undertook extensive research on the EU’s priority countries, drafting policy papers on the Comprehensive Democracy Support Approach. He also collaborated on debriefing and follow-up activities of EU Election Observation Missions in Jordan, Ghana, Georgia and Moldova with the EEAS and HR/VP’s Cabinet. During this experience Sebastiano gained a deeper understanding of the EP’s capacity building activities, in particular he supported study visits from several delegations and collaborated on DEAC’s initiative with Ukrainian Parliament (Verkhovna Rada). Sebastiano is actively monitoring the EP’s committees AFET, DEVE and DROI and liaises with other institutional stakeholders from the EU Commission, EEAS and EU delegations. Having written several publications for the European Institute of Asian Studies (EIAS), spent one year in China at the Shanghai Normal University, and five months at the China-Italy Chamber of Commerce, Sebastiano also has a deep understanding on EU-Asia relations. Winning the “Barbara de Anna” Award allowed him to conduct research for the final dissertation on Central Asia, at the Oxford Institute for Energy and the London School of Economics and Political Science. He holds a BA in International Studies and an MA in International Relations and European Studies at the University of Florence-School of Political Science “Cesare Alfieri”.